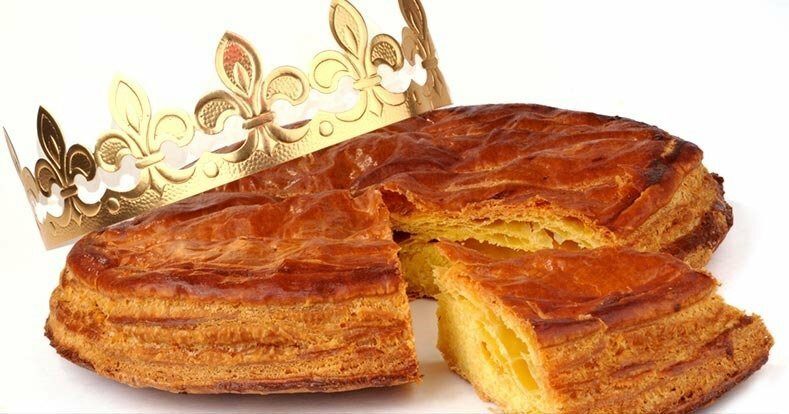 On January 6th, people across France celebrate Epiphany day by eating “une galette des Rois” King cake. But what exactly is this day and how is it celebrated? Christians have been celebrating Epiphany since the fourteenth century but the French celebrate it with a flair all their own. Remember that song “The 12 days of Christmas”? L’Épiphanie sometimes referred to as “La fête des Rois” three king’s day or “le Jour des Rois” Kings day, is celebrated on January 6th, exactly 12 days after Decembre 25th— the birth of Jesus Christ. January 6th (Epiphany) is also the beginning of Carnival season which ends the day after Mardi Gras (FAT TUESDAY) on Ash Wednesday. Think of Mardi Gras as the last hurrah before Lent begins. 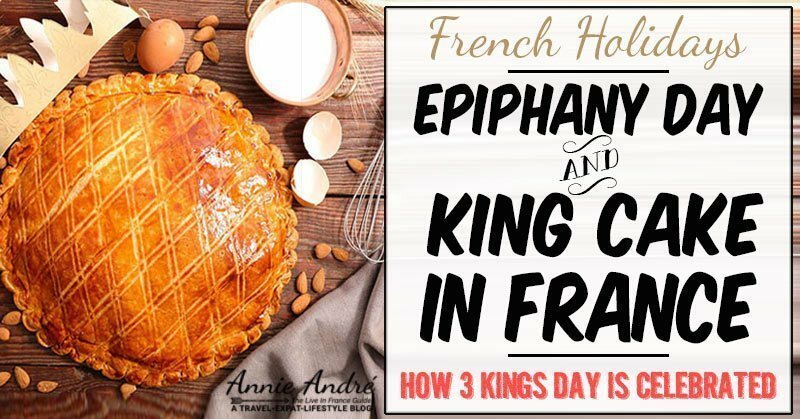 How To Celebrate Epiphany in France and eat King cake. In the days and weeks leading up to January sixth, and through the end of January, the shelves at food stores and French “Boulangeries” in France are lined with rows of “galette des Rois” (King Cake). A King cake is called a “Galette des Rois” in France. It’s a flattish puff pasty which resembles a pie or big pastry more than a cake and is usually filled with frangipane, a cream made from sweet almonds, butter, eggs, and sugar but it can also contain other ingredients like apple puré. 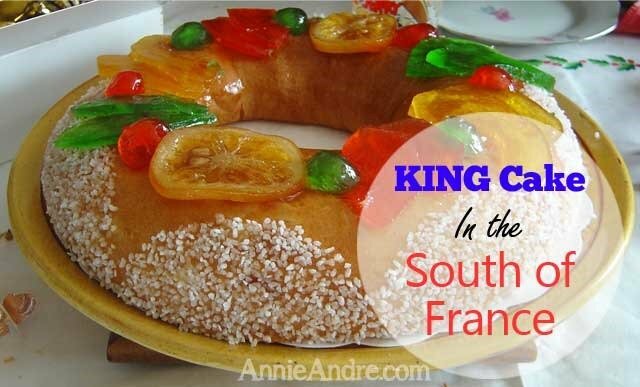 In the south of France where we live, there is a second type of king cake called “gâteau des Rois” or “Couronne des Rois” ( kings crown) and is more like a brioche which is more bread or cake like. It can be topped with candied fruit and white sugar to make it look like an actual crown with jewels. This brioche-like king cake is similar in texture and shape to the King cake found in Louisiana. 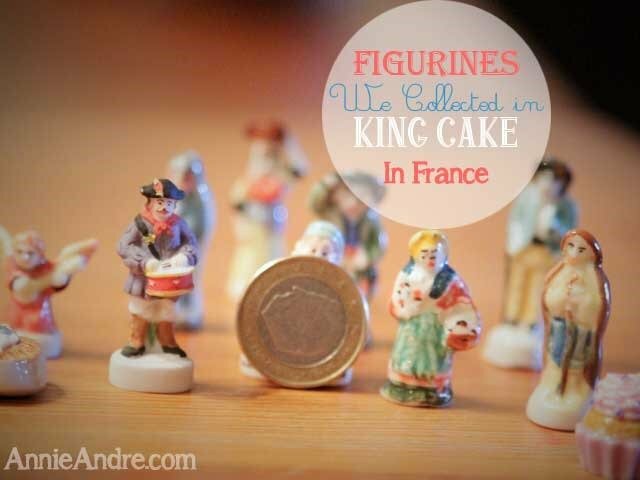 The galettes des roi (King cake) tradition is simple and quick. You can eat king cake at small gatherings with friends, family, co-workers or all three. Some people take the opportunity to open a bottle of champagne or have a glass of hot wine or cider. The person who gets the slice of king cake containing the fève, gets to wear the paper crown which is always included with a King cake purchased at grocery stores and French bakeries in France. If there are children, it’s tradition that the youngest child hides under the table and randomly announces who gets the next slice. This is the part that the kids love the most. It’s also a way to ensure that the slices are handed out randomly. You can usually eat king cake and celebrate throughout the month of January. Although the official day to celebrate Epiphany and eat king cake is January 6th, it’s not unusual to partake in a slice several times throughout January at different social gatherings. 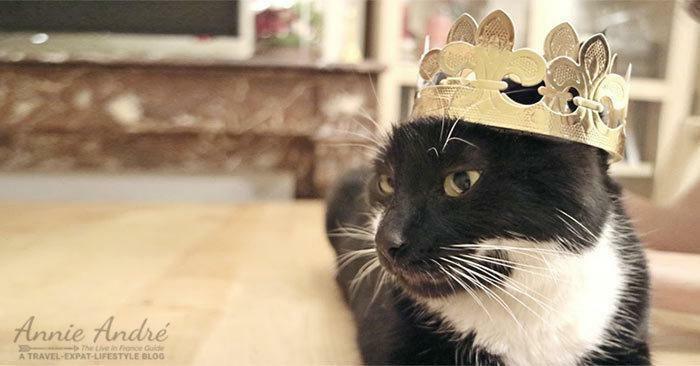 You don’t need to come to France to be King for a day. You can make King cake yourself, Louisiana style. Don’t forget the fève.